Susan Brown and the Pray Naperville team gathered near downtown Naperville’s river walk last Saturday on August 22, 2015. They had a sign up table where people took a leaf,wrote on it their name, the church they go to and the city they live in. All participants could contribute to the creating of this memorable piece of art work. 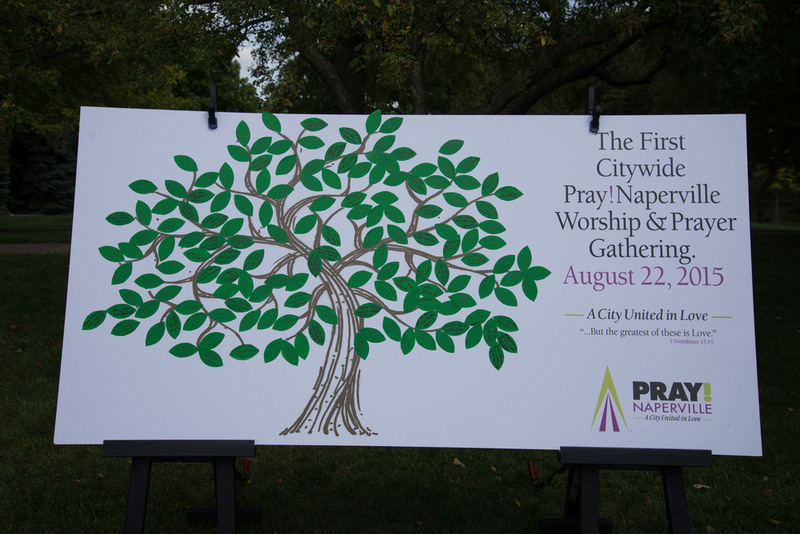 PrayChicago is so excited to see God’s people all over Chicagoland praying for the needs of our larger city. All glory to God!